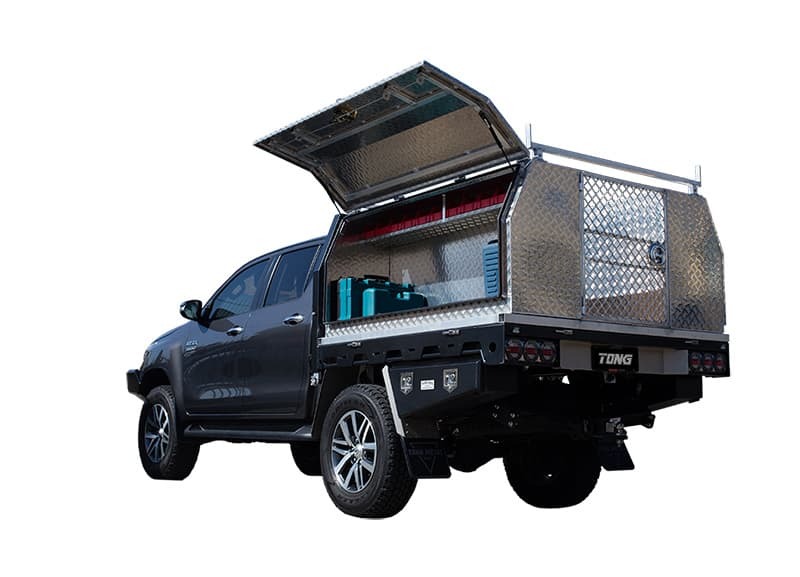 Aluminium canopies are an excellent way to maximise the storage capabilities of tray back utes. They have multiple applications for tradesman, leisure and touring. Our Australian Made canopies are constructed from premium quality marine grade aluminium (5052) ensuring quality and longevity. 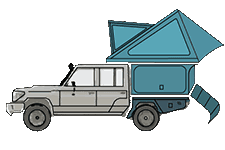 Canopies are available in two types: bolt-down which usually remain on the vehicle for extended periods of time or jack-off that can be easily removed and stored on legs to free up your vehicle for other tasks. 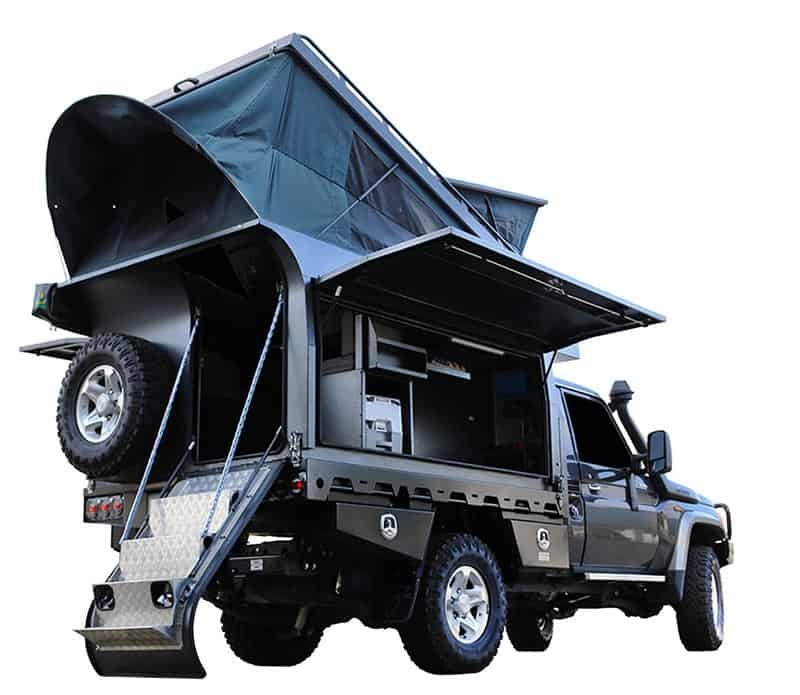 Our Australian Made campers are constructed from premium quality marine grade aluminium ensuring quality and longevity. 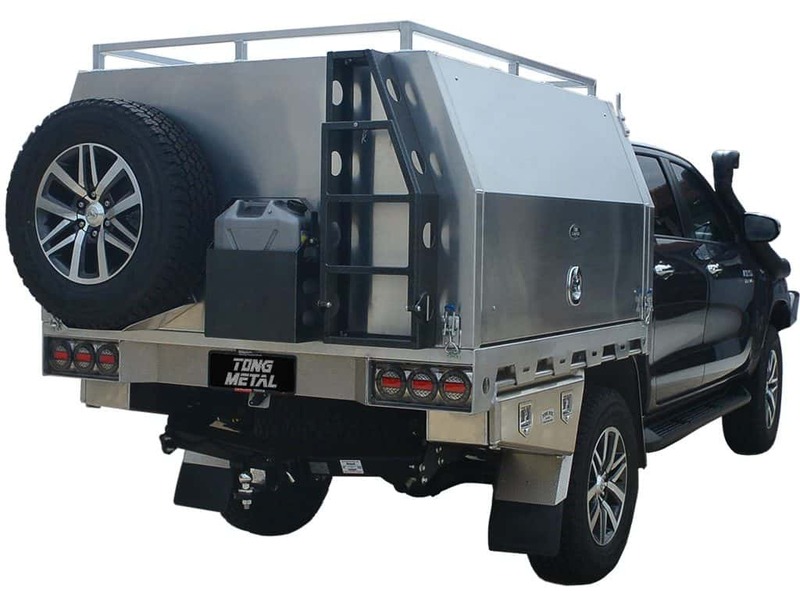 Tong Metal Campers are compact, lightweight aluminium tray-back/ slide on campers that are designed to mount directly to an existing Ute tray. 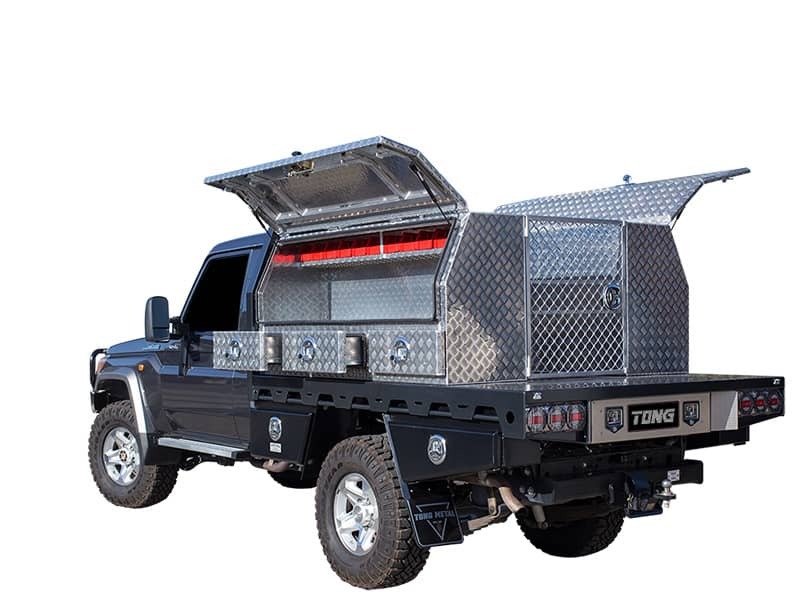 The campers are designed to suit all tray sizes including dual cabs, space cabs and single cabs. The legendary Tong aluminium tool boxes are Australian Made and built “tradesperson tough” to withstand constant daily work. Tong Boxes are backed with a 10 year structural warranty and a quality guarantee for workmanship. Most models are now equipped with 3-point locking and reinforced door frames to deter thieves and protect your valuable tools. Tong ute trays are Australian Made and are built tough to endure work or play on all terrains. 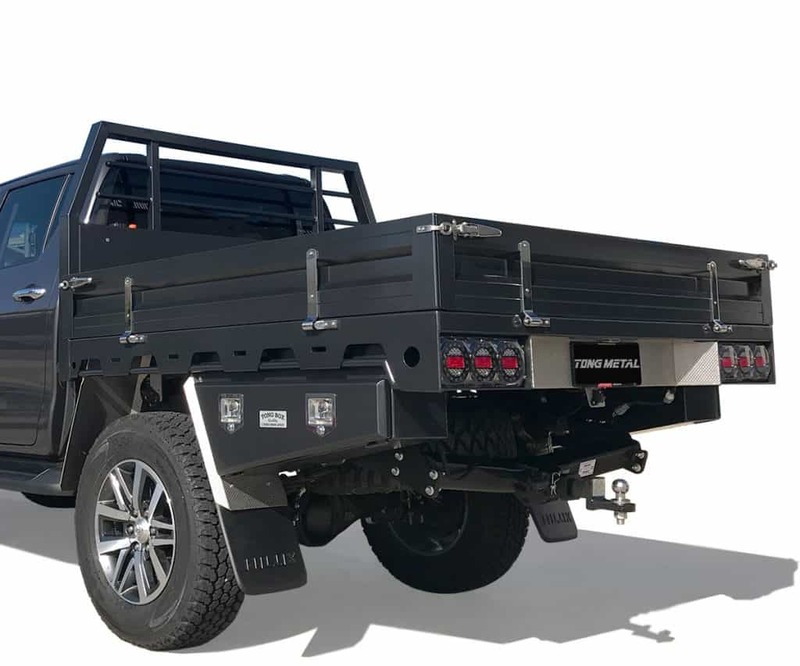 Built entirely from aluminium to reduce weight, the 4mm thick, seam-welded tray deck is supported by 100mm H x 50mm W x 6.35mm TH x 7.9mm TW Chassis Rails and sub frame. Included in every tray are the signature Tong 10 liter integrated water tank, the ladder-rack tray adapter, and Maxi LED Lights. Transform your vehicle into the ultimate mobile workshop with the addition of a Tong Toolbox Package. Choose any two toolboxes of the same length from our extensive range and combine to create your preferred storage solution. The package includes a rear gate, ladder rack, internal storage bins, and big dollar savings compared to buying individual toolboxes.